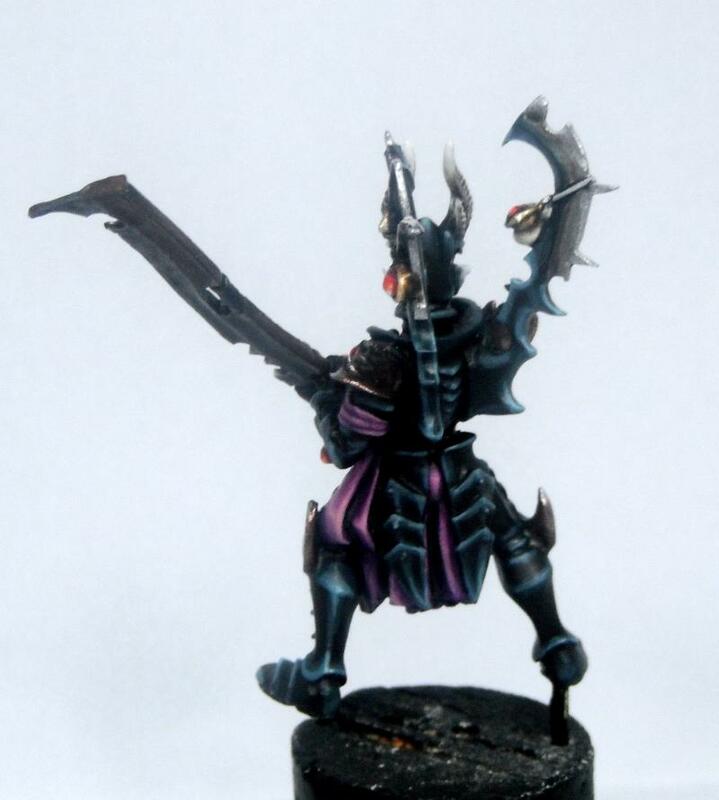 Over the weekend I spent some time working on a Dark Eldar Incubi model. I bought a box of these back when they were first released and only ever got as far as assembling and priming them. 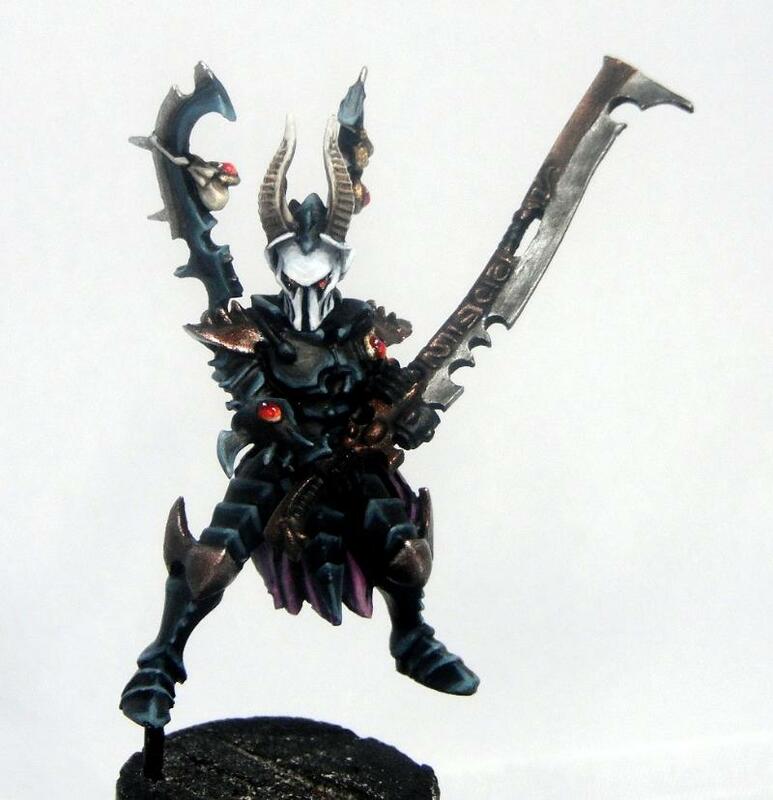 This model is something of an experiment in extreme edge highlighting for me and I went for a high contrast look similar to that used by the ‘Eavy Metal team. 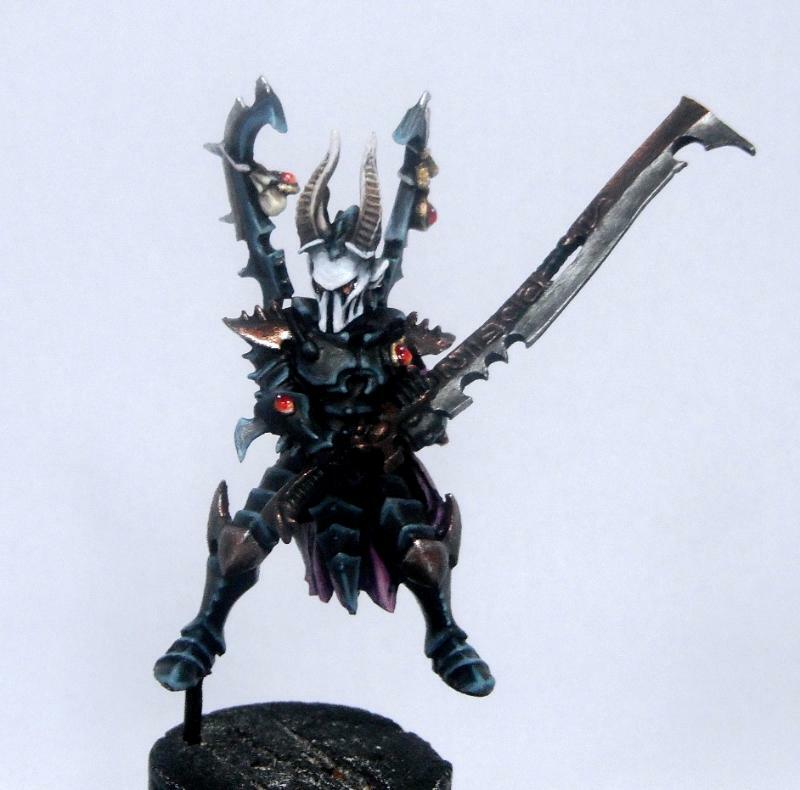 The model only needs a few more highlights on the weapon and, of course, a base. I might wait until the whole squad is done before basing them though.